"High school is four years; St. Francis Prep is Forever!" 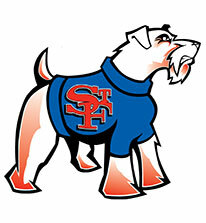 S.F.P. BOYS 2017 CITY CHAMPIONS ONCE AGAIN!! 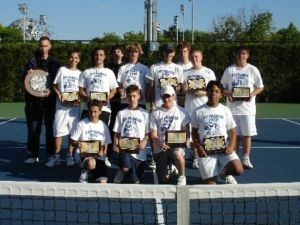 Although the S.F.P.ʼs boys tennis program has won the most city championships in the last 25 years with nine. We had not won in five years and that was too long. Senior Gabe Sifuentes knew this was his last chance to lead Prep. to a championship and he was all in from the start. Gabe brought his A game to every practice and set the tone for the team. During the regular season Prep. played close matches with our perennial opponents Fordham and Iona Prep. 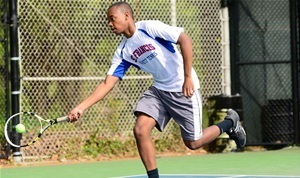 The Terriers managed to win the regular season and faced Iona Prep. in the finals after Iona upset the defending champs Fordham Prep. in the semiʼs. The finals was a highly competitive match with both teams looking for their first championship in awhile. Seniors Wilson Ma and Alvin Lou got Prep. on the board with a win at #1 doubles 6-3, 6-1. 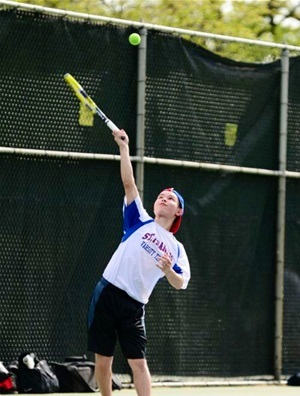 Iona tied the score with a win over S.F.P.ʼs #2 singles Chris Moczulski. Rino Cattabiani put the Terriers within one match of the chamionships with a victory at #3 singles 6-2 . 6-4. 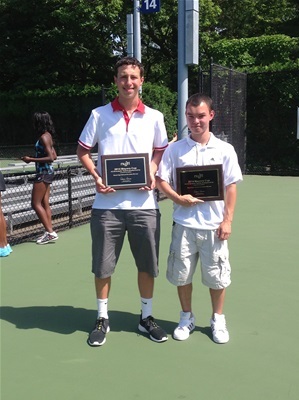 All attention turned to Tyler Gulston and Matt Curcio as they battled at #2 doubles. After winning the first set they pushed the second set to a tie-breaker. Tyler and Matt managed to pull out a tight match with a 7-5 tie break win. The celebration began. Captain Gabe Sifuentesʼs match at #1 singles was ended with the match decided. Had our doubles not clinched to championship I believe Gabe would have secured the title he so obviously wanted to cap off his high school career. 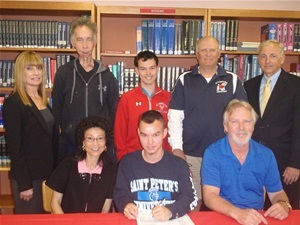 National Letter of Intent with Saint Peter's University!!!! 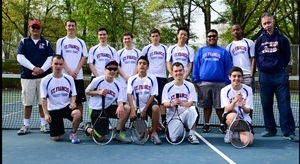 Welcome to the 2015 Boy's Tennis Season! 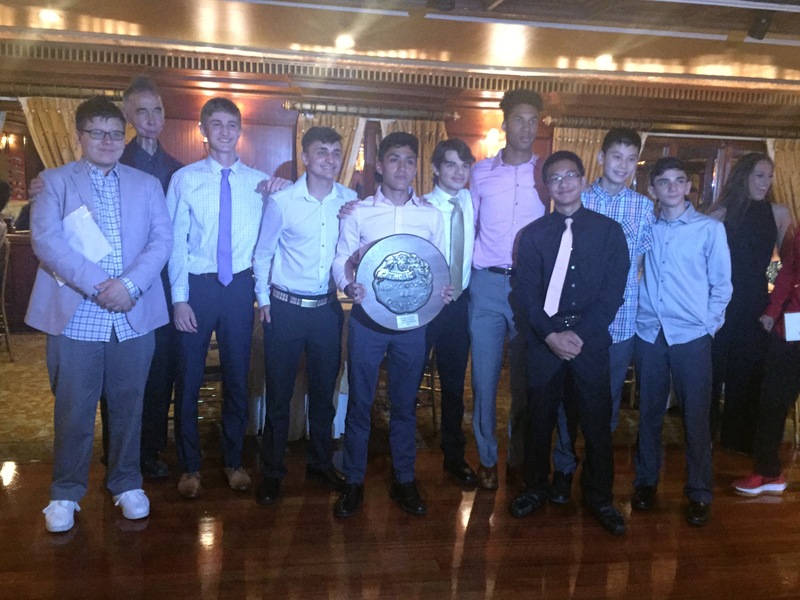 On May 24th, at the National Tennis Center, St. Francis Prep Boys Varsity Tennis Team won their Fourth Straight City Championship with a 3-2 win over Xavier. This win capped off the Fourth Consecutive Undefeated League Championship. 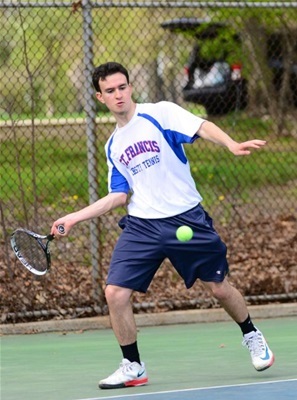 Prep has not lost a CHSAA match in four years. This was truly a team win and demonstrated why all the practice time we put in pays off with championships. All of our players laid it all on the line; that effort and heart proved to be the deciding factor in a razor-close match. After Chris Jimenez and Laurent Octobre breezed to easy wins at #2 and #3 Singles, the next decisive win would prove elusive. At #2 Doubles, Dillan Hogan and Chris Zipf made a great comeback but fell short 6-2, 7-6. Then, David Arroyave, despite playing perhaps his best match of the year against the highest ranked player in the league, Thomis Kleinski, fell 6-4, 7-6. Now the match and the Championship came down to one set, the third set, at #1 Doubles. Kilby Featherston and Joe Henehan, after a bad first set, made a gutsy comeback to clinch the Championship with a dramatic 2-6, 6, 2, 6-3 win. Now it is on to the Mayor’s Cup Championship on June 5-6. 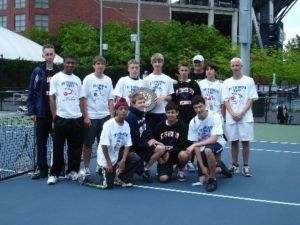 Where Prep boys will join the Girls Team and represent the CHSAA against the top public and private school varsity tennis teams. has been over the last 3 years. in the prestigious Mayor's Cup tournament each year. with the strongest competition coming from rival Iona Prep. One of the team's goals this year is to qualify and win the Mayor's Cup. Prep kicked the 2010 season with a resounding defeat of Molloy. 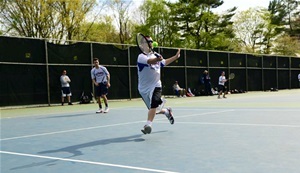 David Arroyave, Chris Jimenez, and Laurant Octobre won decisively in singles play while Kilby Featherson – Joe Henehan, Dillan Hogan – Chris Zipf dominated in doubles play. The competition stiffened considerably with a non-league scrimmage against perennial power Horace Mann. 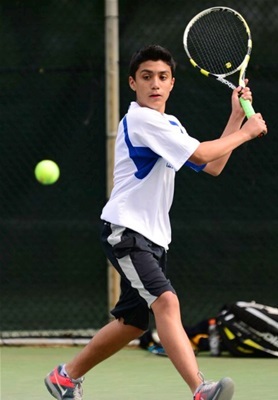 Prep won two matches at the top of our line-up with David Arroyave and Chris Jimenez winning at first and second singles respectively. 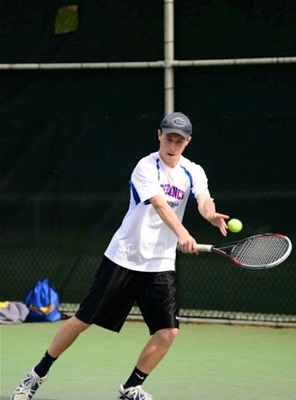 Laurant Octobre lost a close match at third singles and Dillan Hogan – Chris Zipf were beaten at 2nd doubles. 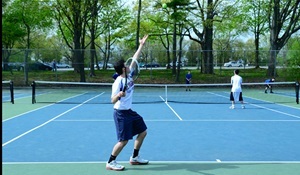 In the deciding match, Kilby Featherson and Joe Henehan played a dramatic match that Horace Mann finally won at 7 – 5 in the third set. Let us thank all those who teach in Catholic schools. Educating is an act of love; it is like giving life.